Lions To Sign Sterling Moore? 3:42pm CT: Moore’s agency has now deleted the tweet indicating he’d signed with the Lions, and Detroit added a different safety earlier today. As such, it’s unclear what’s going on between Moore and the Lions, as Michael Rothstein of ESPN.com tweets. 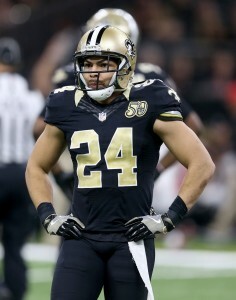 12:45pm CT: Free agent cornerback Sterling Moore has signed with the Lions, as his agency tweeted this afternoon. Moore, a former UDFA who began his career with the Patriots in 2011, will reunite with Matt Patricia, the Lions’ new head coach who served as New England’s safeties coach in 2011 and the team’s defensive coordinator in 2012. Moore was cut by the Patriots during the 2012 season, and he ultimately latched on with the Cowboys later that year. He mostly started for the Cowboys, Buccaneers, and Saints from 2014-2016, but he’s more of a role player at this stage of his career. 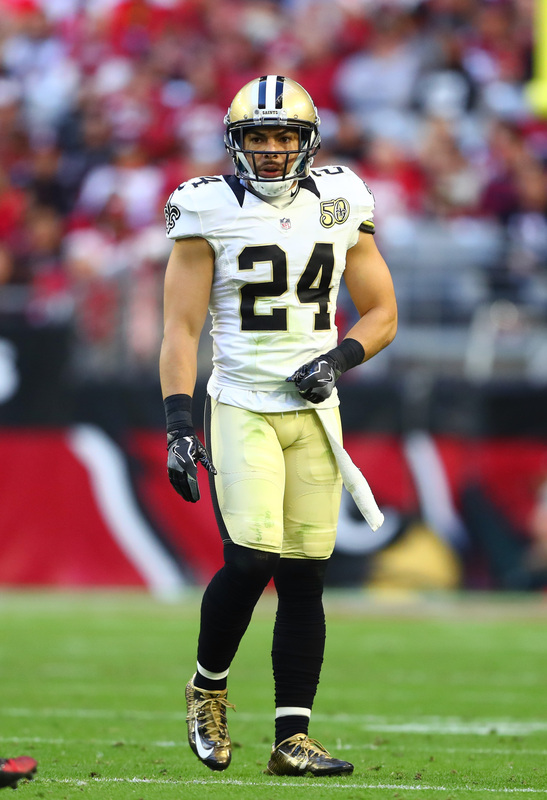 In 2017, Moore bounced on and off the Saints’ roster, though he was fairly productive for New Orleans in 2016, finishing with a career-high 56 tackles, 13 passes defended, and two interceptions. He is perhaps best known for his strip of then-Ravens receiver Lee Evans in the waning moments of the 2011 AFC Championship game, knocking a would-be game-winning touchdown out of Evans’ hands and sending New England to the Super Bowl. In Detroit, Moore could have the opportunity to earn a fair amount of playing time. The Lions currently project to start Darius Slay and Teez Tabor, but the rest of the depth chart is not particularly inspiring. The team was set to meet with Kayvon Webster later this week, and it is unclear if the Moore signing will have any impact on those plans. Stop us if you’ve heard this one before. The Saints have re-signed cornerback Sterling Moore, a source tells Herbie Teope of The Times-Picayune (on Twitter). 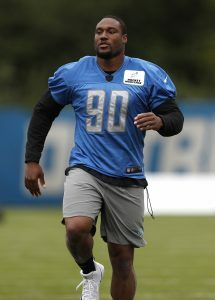 Moore most recent stint with the team came to an end on December 14th, when the team claimed linebacker Jonathan Freeny off waivers. He now returns to the team prior to a pivotal game against the Falcons on Sunday. Moore will provide depth to the secondary in the wake of Kenny Vaccaro‘s season-ending injuries. Vaccaro was dealing with a groin injury and a wrist injury, both of which will require surgery. Without Vaccaro, second-round pick Marcus Williams and Rafael Bush will be asked to step up with Chris Banjo and Moore in support. Vonn Bell remains the starter at free safety. If the Saints beat the Falcons on Sunday, they’ll secure their spot in the playoffs. They can also lock down the NFC South this weekend with a victory coupled with a Panthers loss.